We have a resident bat, occasionally he annoys me when he swoops up the hall and startles me, or when he swoops too low over my bed. Then I take to petitioning St Francis to take pity on me and evict Batty, all to no avail. 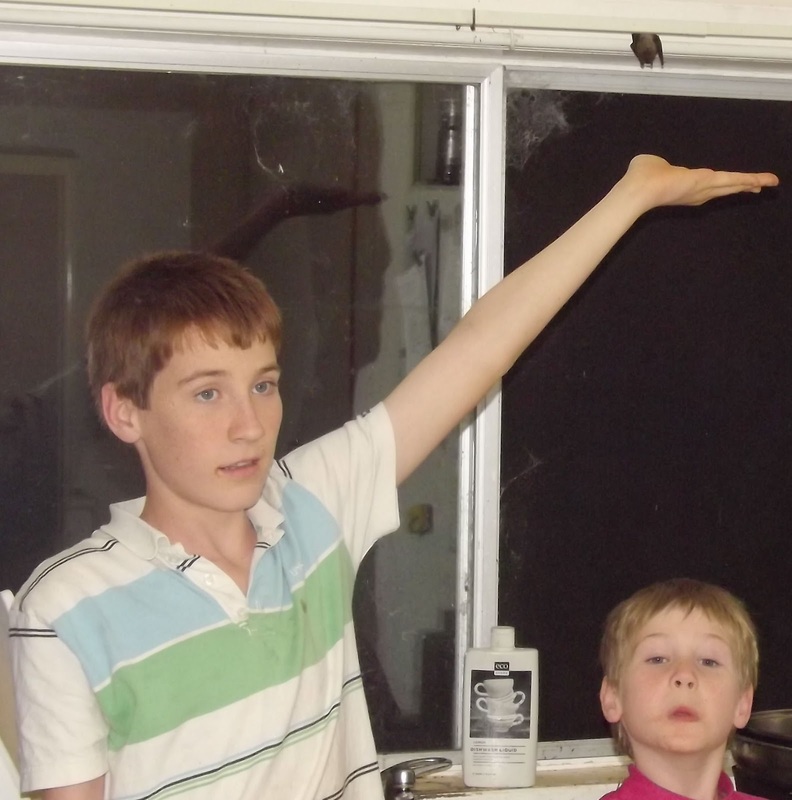 Other family members plead his case, he is a great mosquito hunter, this mollifys me somewhat. This time however the bat goes too far. This season I have totally lost my sang-froid. Batty seems to have lost all sense of healthy boundaries and is flying TOO CLOSE, right up in our faces. Entering the house at all odd times, flying into every room of the house. Tonight I lost it, he not only swooped within centremetres of my face, repeatedly. But he then swooped down over Bass’s head where he was sitting on the floor and was right on the floor next to him. I lost it, I scooped up Bass and locked us in the study, refusing to come out. Finally hunger drove us out where we ate tea with a baby blanket covering my and Bass’ heads, whilst the bat swooped overhead. PC pondered that perhaps it was my security blanket, you bet, I felt far safer under the blanket with camera in hand. When I rang Wires, they informed me it is a microbat, most likely a Bentwing, and harmless. It appears I am stuck with him until the house is sealed, from now on I’ll be driving PC hard to complete some jobs so we can seal the eaves. My family think I’m overreacting and being ridiculous, but really I do not think it normal to have a bat in my kitchen and certainly not to have one roosting above my sink!! The bat has to go! ETA: Two days after writing this post, Batty spent the night hanging to the kitchen screen and then was found dead on the window sill the following morning. Looks like PC can ease up a little now. 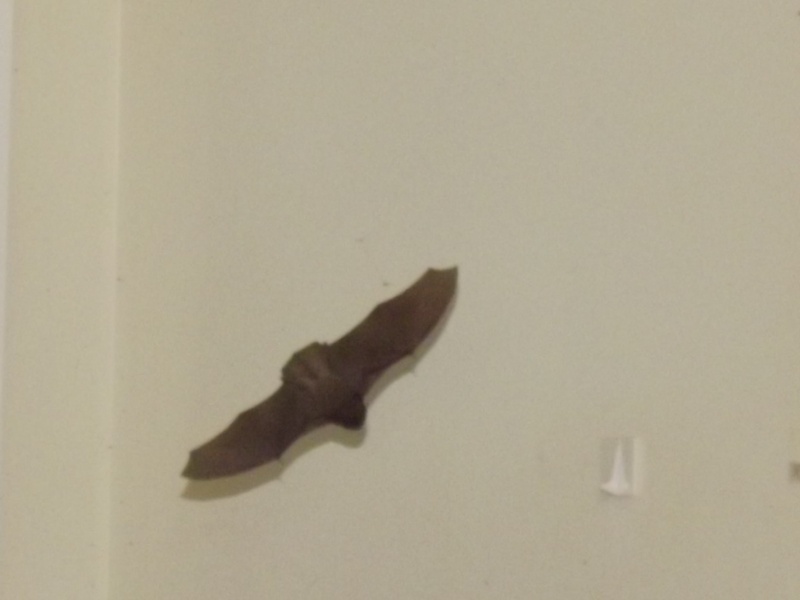 However a new bat has been sighted flying up the hall since…. Erin, I am TOTALLY with you…I can see you loosing it..in your gentle way..
PC really needs to get those eves sorted… I agree. So if you put him out he comes right back in? I believe I would lose it a bit, too! 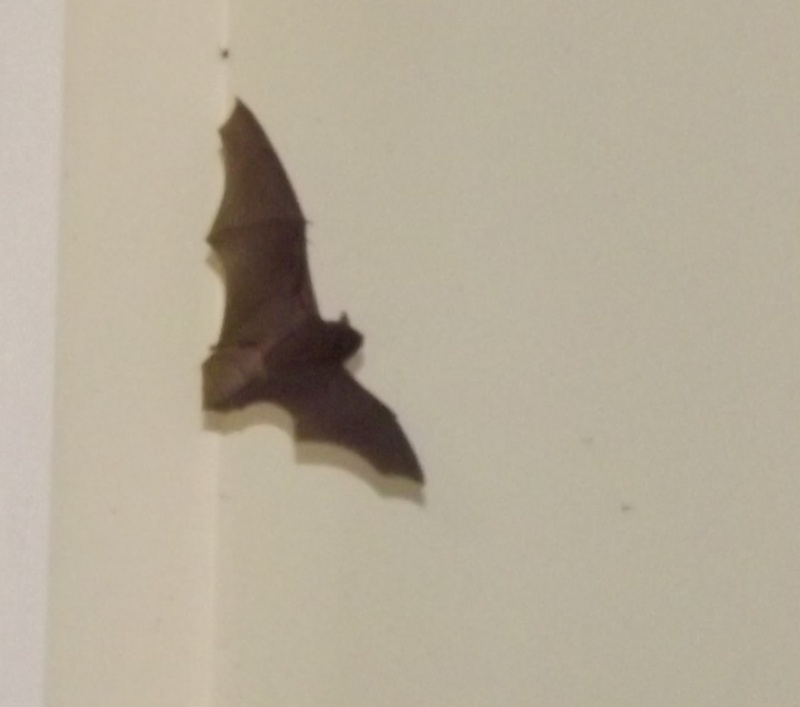 We got the bat out of our house in NY by chasing it outside with a butterfly net (or so Katie tells me. I believe I was huddling in the boys' room with the toddler.) But then our house was sealed as long as people closed the door!! Totally with you on this one Erin. 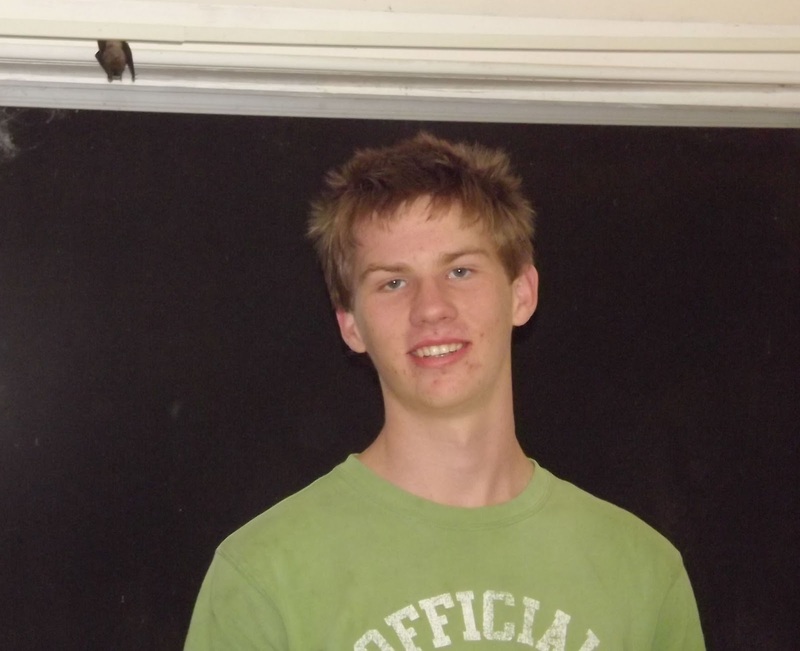 Bats don't get to stay unless they pay rent. Ugh. Eek! 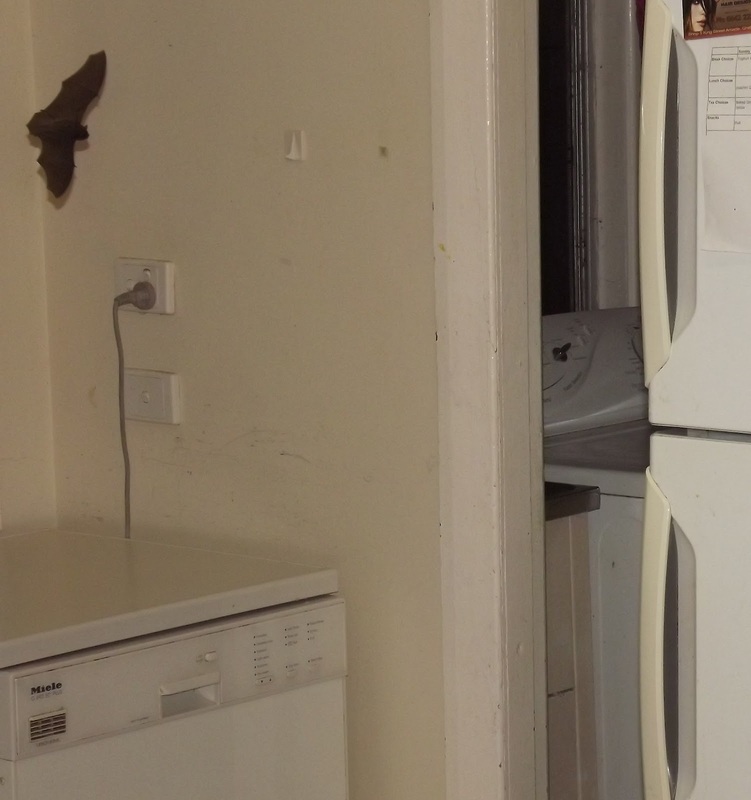 If it flies, I'd be out the door and on my way to a motel – things that swoop are creepy! Bats in the belfry perhaps but NOT in the house! I'd be going batty with it hanging about in my house too! Would a breeding box set up outside, near a tree, entice it outside? I've seen them set up in the national park near us. … although, it wouldn't have heating as you do in your house, which is probably why it likes it there .. ? Yep, I'm with you, too! – Yuk. There are some things we put up with in life – we've had mice, earwigs and spiders – but I doubt I'd cope very well with a bat. Isn't there any way you can 'encourage' him to move out and go elsewhere? I hope you find a solution soon. PC step up and earn your title! Save your wife from this menace. I'm not one to tolerate bats over my food. I don't tolerate mice, either, and that's all these are — mice with wings. Yuck. Thank you all for your support:) Be sure to read my ETA that Batty died!! Naturally, but I confess to being relieved, it was rather freaky. PS – Any. He did remove bat, what a Knight, however bat came back. I read you post to the kids this morning and their response was a mixture of awe and humour! I agree, I wouldn't do bats in the house very well, but it does make a good story! (Did you say there was another one to replace it??? 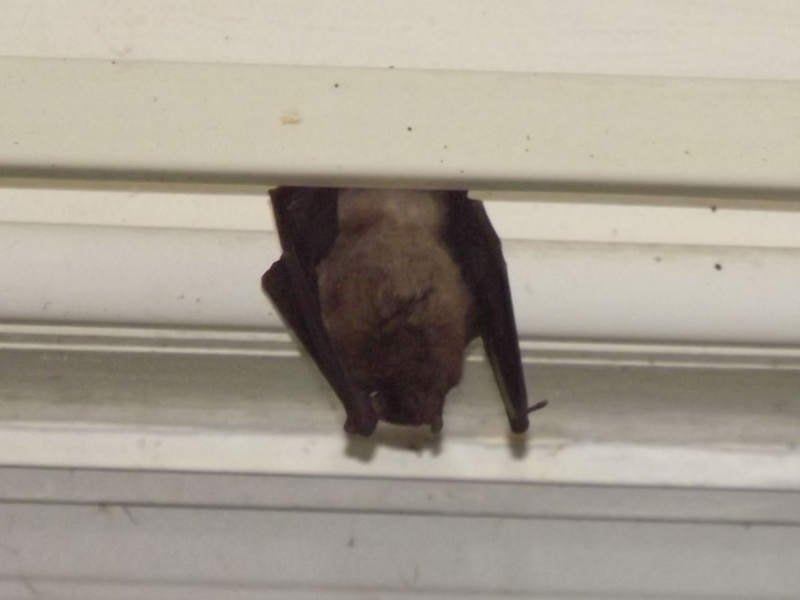 Ugh, we get bats every spring. I scream. I screech. 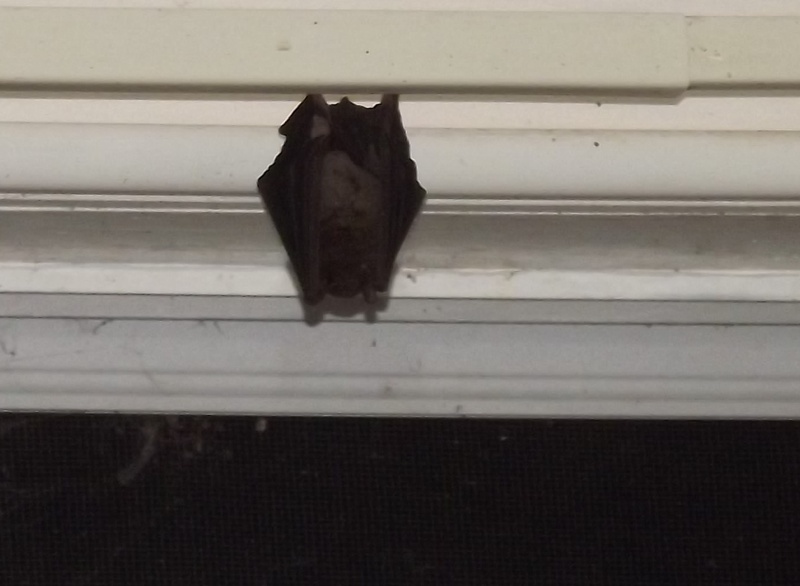 I run for the bathroom or my room and slam the door shut refusing to come out till my children get rid of the bat. They try but they are soo busy laughing at their silly Mama. Usually if we open the front door it will fly right out of the house. Sometimes we have to encourage it with a tennis racket. They sure do make some amazing noises.